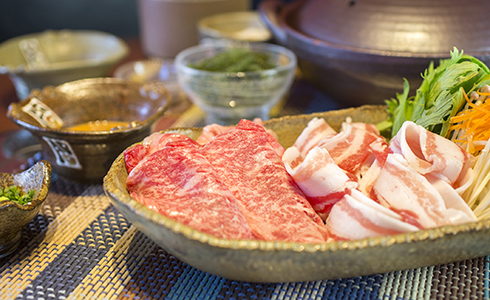 If you would like to have Japanese roasted meat, hot pot, Shabushabu in Okinawa, please come to Gyutongassen Onna store. Only specialty shop can afford the whole cow and provide over 100 types of meat which is a surprising number. 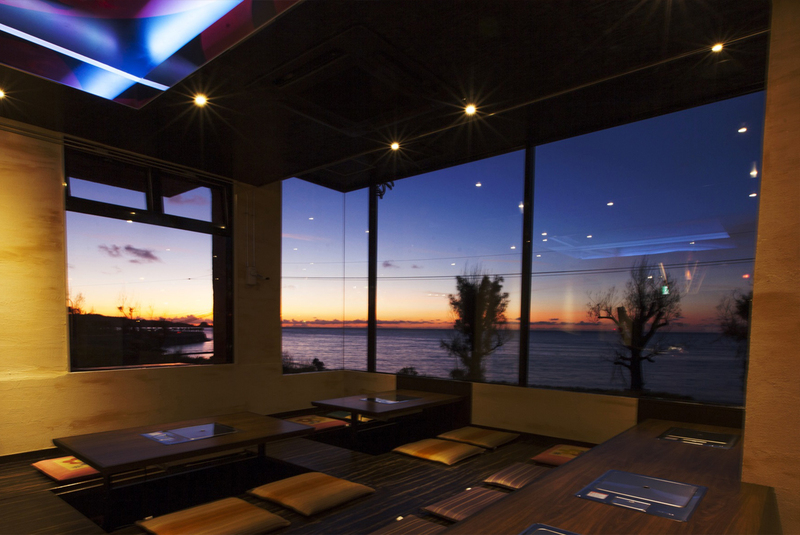 Here we are away from‎ Renaissance Resort only 1 kilometer, you can enjoy all the night view of the Okinawa. It is only here that you can taste two emerging brand meat at once. Exported from the main island of Japan, Japan's brand black cattle are grown in the warm Ishigaki Island. The beef is rich of ocean's minirals and contains over 60% of unsaturated fatty acid. 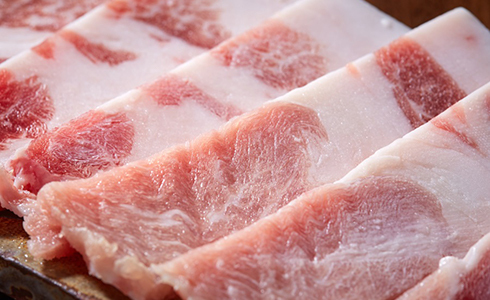 The okinawa ancient breed Agu pork has been carefully bred by the rearer with purple yam and herb. 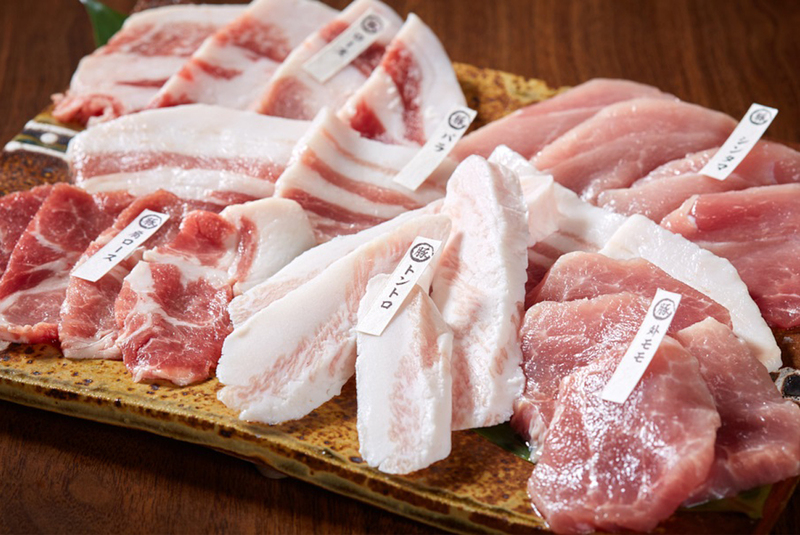 Besides okinawa, only few places sell Agu Pork. Restless improving ambition of Okinawa rearers always make new brands of meats. Okinawa is well-known as the long-lived population. 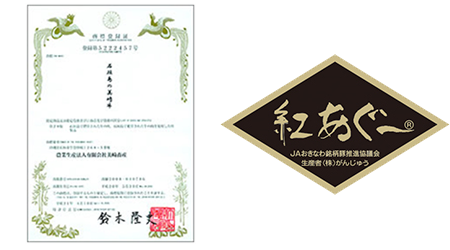 The high quality meat has been attributed to its warm temperature, fournishment of nature, as well as the relaxing atmosphere. 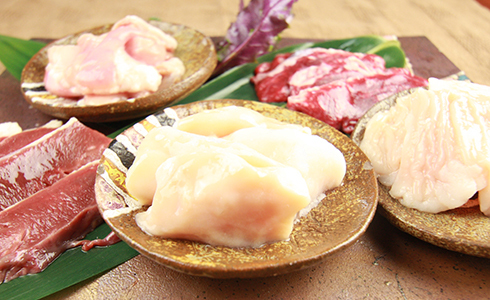 Due to the quantity limitation, almost Okinawa brand meats here are not sold to other county. Please don't miss the chance. 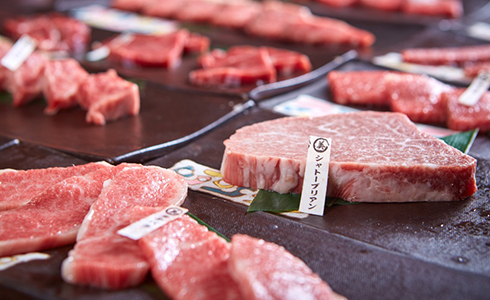 ※Traceability information (indentity number) is inked on all of the individual pigs. Enjoy every meal here without any worriness. 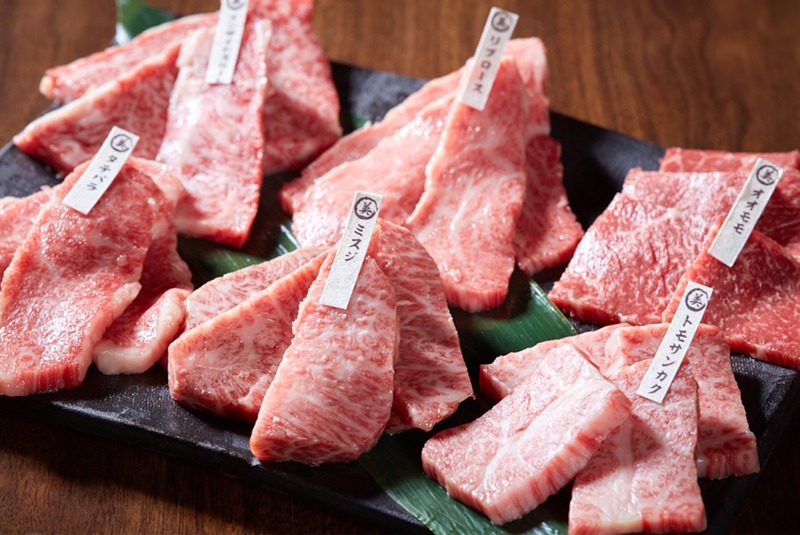 Needless to say the brand meats, other meat or vegetable productions also region in Japan. Even childern can have meals here without worriness. 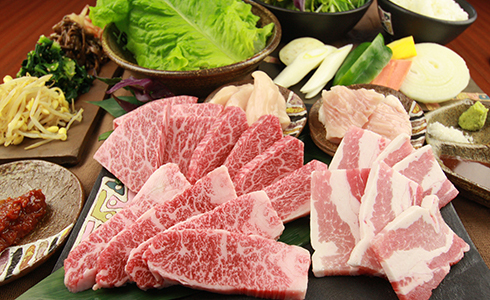 ※The purchase of tongue and beef belly might be imported from the USA or Australia, according to the stock. We use the latest smokeless barbecue oven so that you can be carefree about smoke sticking to the clothes or hair. Also, childern can also be no worried about the fourious fire or sparks from the fire. Only specialty store can collect over 100 types of meats. We has carefully choosed and purchased meat in bulk and in whole from long-termed trust individuals. 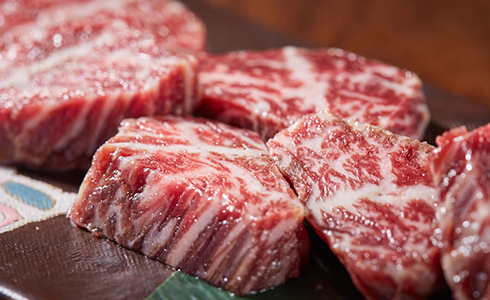 Moreover, we offer not only marbled meat, but also lean meet, hormone, or some other rare parts. you can also eat in your own way. 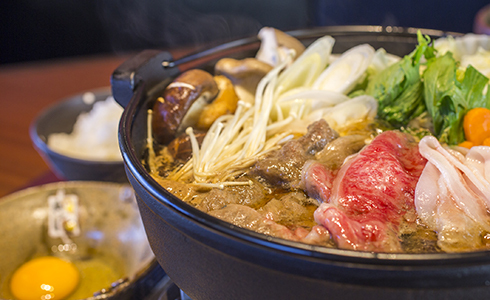 We prepare 4 kinds of ways to enjoy the meal: must-taste Japanese roasted meat; shabu-shabu which people can enjoy the amusement of chopstick, populared sukiyaki, and hot pot that people can sit around and enjoy taking with each other. Not only meat but also hormone have been prepared to choose. Take your time on Onna Village which is one of the best of the Japanese resorts. 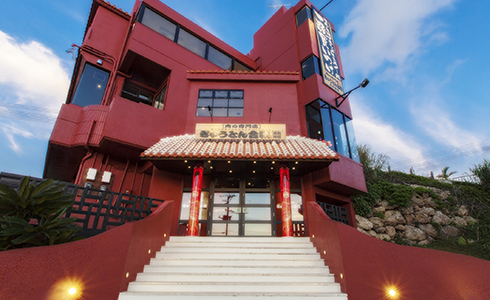 The architechure itself is built along the sample of Shuri-Castle which is red as well as built on the coast. 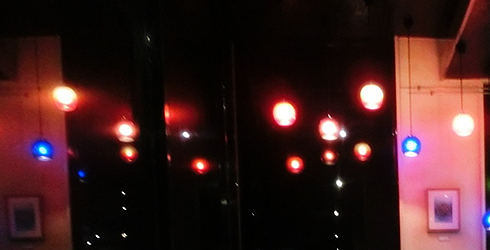 Customers could appreciate different sceneries of shappire East Sea through the window: the sunset in the dawn and afterwards the night view. The confortable inner partition, sofa area, Western-style seating table, and familay-populared Japanese horigotatsu. 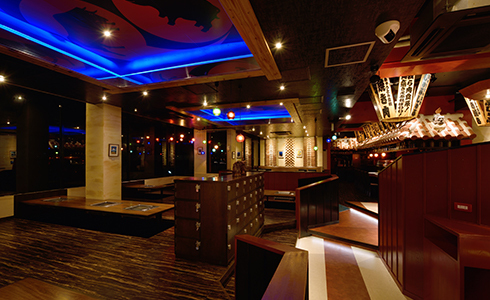 The restaurant is loved vastly by its atmosphere because of large amount of shining ryukyu glass for decoration. ※Popular hiphop group has been populared with the CD Album's cover which is background with Shurijo Castle. Some people also lay under the stairs here and take a picture to mimic the Album cover. 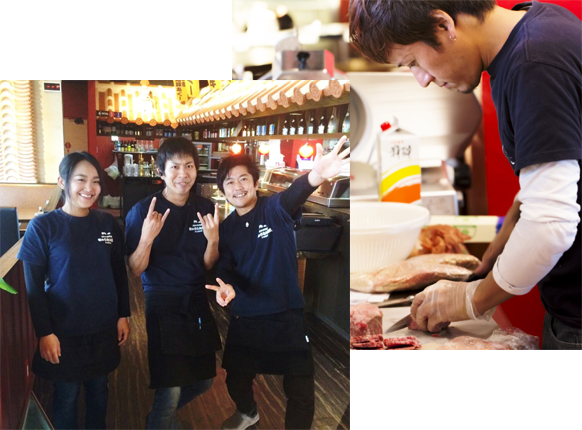 Customers prefer our high-quality food with multiful ways of cooking as well as nice service. 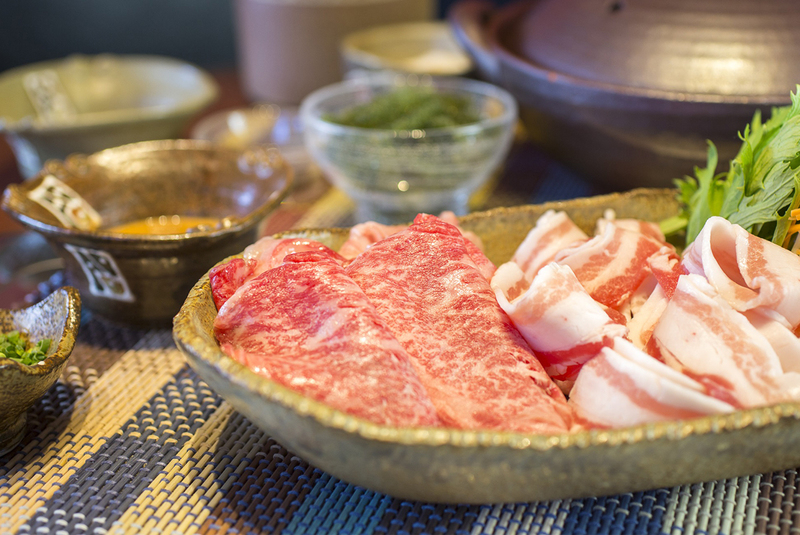 Even meat is the main role of Japanese roasted meat. 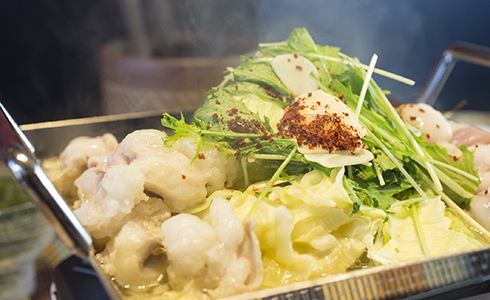 But the chefs are originally experts of Japanese food and good at making sauce or soup for Japanese cuisins. Please also take a look at the beautiful food presentation. Please feel free to propose any order or request. Recruit information would you like to join the fantastic Okinawa life with me?